LOCATED ACROSS FROM DEPT SOCIAL SERVICES ON 16TH ST. NO CONTACT STATION. 16TH STREET IS ONE-WAY STREET; THEREFORE THERE IS ONLY ONE MAJOR STREET TO GET TO THE OFFICE. ON THE SAME STREET GOING TOWARD NEW HANOVER REGIONAL HOSPITAL. The Wilmington Social Security office is located in Wilmington 28401. The following page includes information for this location like the office phone number, hours of operation and driving directions. If you have any interests or comments about your retirement benefits or are interested in making an appointment, call the following Wilmington Social Security office. The Wilmington Social Security office is located at Wilmington 28401. The North Carolina SSA controls various federally run programs like retirement, SSI, Medicare and disability benefits. The following page contains useful contact information for this location such as the Social Security office phone number, hours of operation, and driving directions. 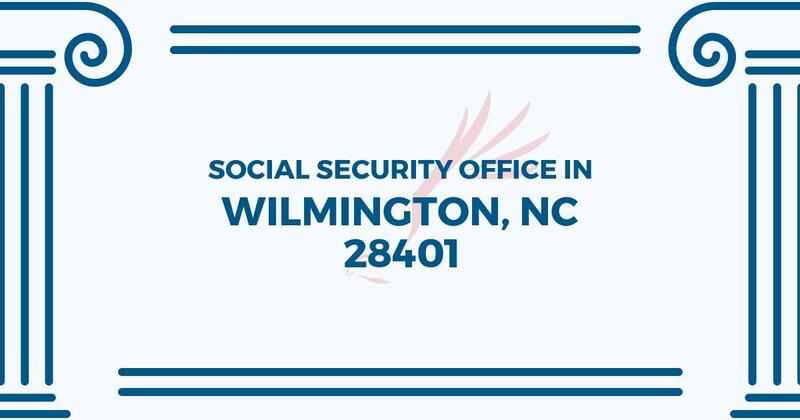 If you have any comments or requests pertaining to your retirement Social Security benefits or interested in arranging an appointment, call the following Wilmington Social Security office. I have called office three times and after waiting for anywhere from 12 to 20 minutes have bee disconnected every time!